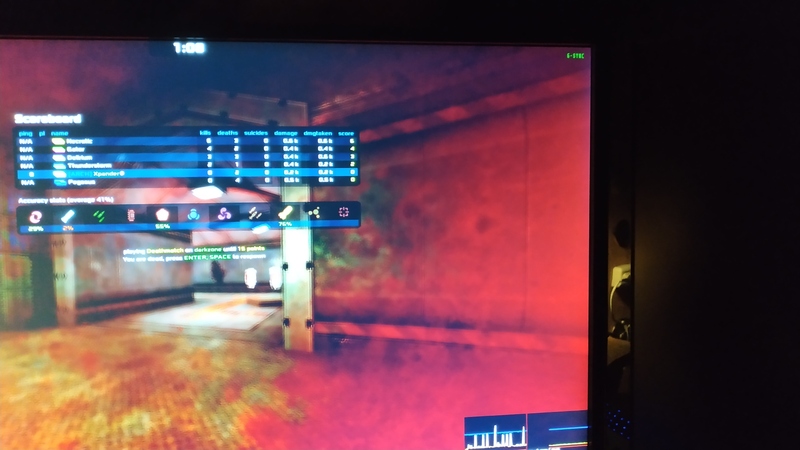 The big new feature, is that this is their first Linux driver to support 'G-SYNC Compatible' monitors, which they made a bit of a splash about recently. So now, for those of you with a FreeSync monitor, you should be able to turn on G-SYNC and give it a test. According to Linux YouTuber star Xpander69, who I spoke to and has tested it out, the new G-SYNC Compatible feature will only work with one monitor enabled and the game will have to be in fullscreen. Shame, as that would make it pretty useless for me personally with two monitors I use heavily. Additionally, they've added support for stereo presentation in Vulkan, an OpenGL application crash after repeated VT-switches was fixed and an issue preventing PRIME displays from being selected in the display settings page of nvidia settings was also solved. Two more Vulkan issues were also solved, with applications being unable to use the VK_EXT_display_control extension and another where destroying a direct-to-display swapchain could crash Vulkan applications. 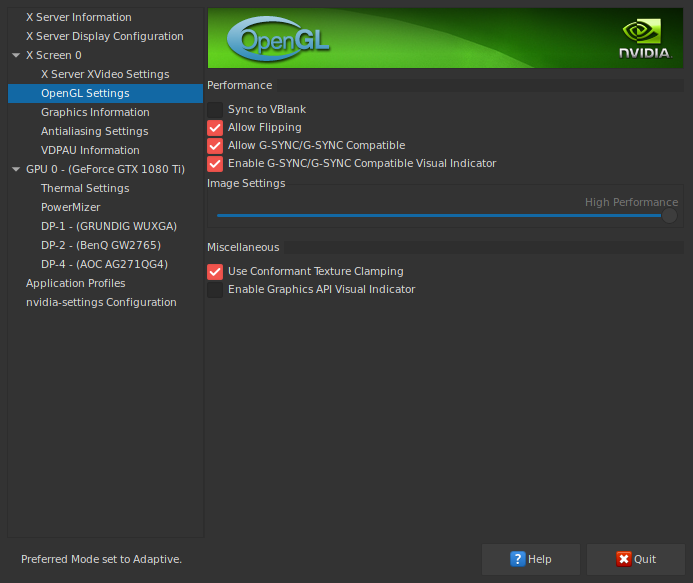 There's more, they've added support for NVIDIA Video Codec SDK 9.0 which has support for Turing NVENC/NVDEC. 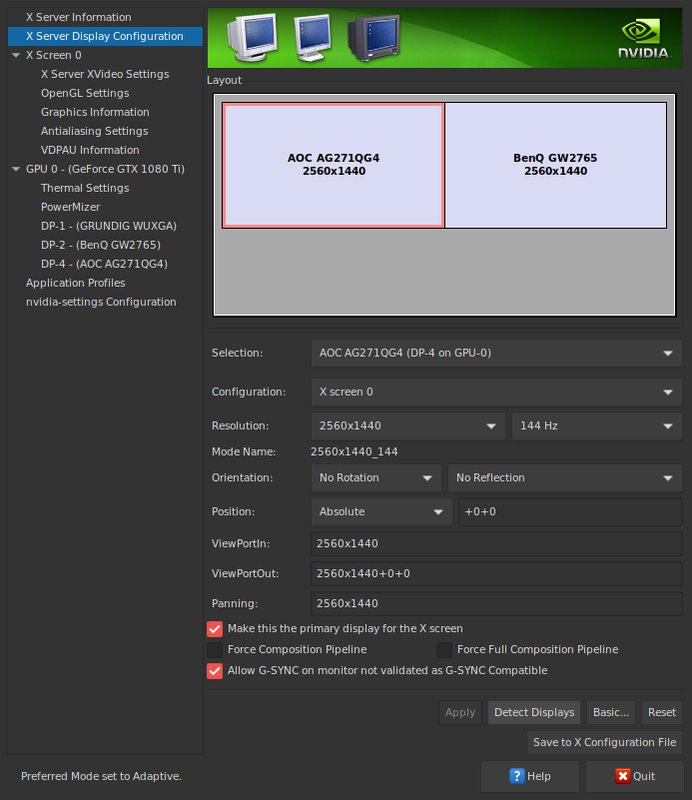 There's now NVIDIA optical flow support and a couple other bits. Sounds like a pretty big release in need of plenty of testing, as it's a Beta release there will likely be some issues. See the full notes here. Yeah it's pretty useless for me without being able to use my second monitor sadly. But yeah it works like it should (same as G-Sync in features). No issues with that on my AOC Agon AG271QX monitor. Hope those Xorg limits can be worked around or we really have to wait until Wayland really takes off. Does Wayland support GSync/Freesync even? Does it allow to use G-Sync with any FreeSync monitor or only with those officially supported by Nvidia? Xpander Does Wayland support GSync/Freesync even? Pretty sure Wayland doesn't have to explicitly support variable refresh rate. As long as the compositors don't have any particular quirks that might interfere, then it should just work, but that is just my observation from an amateurs point of view. I've seen comments from developers that suggests this is the case anyway. Eike Does it allow to use G-Sync with any FreeSync monitor or only with those officially supported by Nvidia? There's a manual override for non whitelisted monitors. Their list is kind of ridiculous btw. See my comment on Phoronix. Very excited to test it out! What is that "Allow Flipping" feature for? Comandante Ñoñardo What is that "Allow Flipping" feature for? That's for Linus. It allows him to flip the bird. Quote According to Linux YouTuber star Xpander69, who I spoke to and has tested it out, the new G-SYNC Compatible feature will only work with one monitor enabled and the game will have to be in fullscreen. Shame, as that would make it pretty useless for me personally with two monitors I use heavily. Yeah, that's the case for normal G-SYNC as well. It's an X limitation though. Makes you wonder if Wayland is any better for this. I wonder if Wayland can handle variable refresh rate at all at this time.